Some former loyalists of former Minority Leader, Mr. Femi Gbajabiamila and members of the All Progressives Congress, APC, loyalists group, on Saturday declared support for the House of Representatives Speaker, Mr. Yakubu Dogara. The lawmakers claimed that it was better to place the interest of the country ahead of all other considerations and accept the positions of the principal officers of the House as proposed by Dogara. 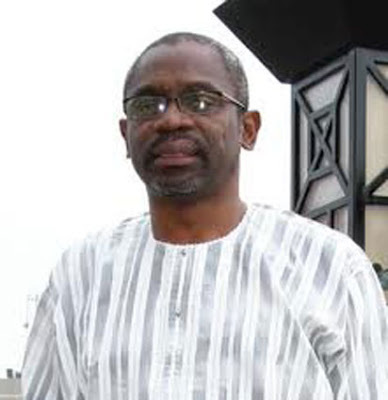 Gbajabiamila who has the backing of the Loyalists Group, had for long insisted that the office of Majority Leader must be zoned to the South-West and be held by him. Members of the group who attended a joint news briefing in Abuja with the Speaker’s group were Mr. Alhassan Ado-Doguwa (Kano State); Mr. Mohammed Monguno (Borno State); and Mr. Pally Iriase (Edo State). The APC leadership, in a June 23 letter to Dogara, had recommended to zone the majority leader to the South-West; deputy leader to North-West; chief whip to North-East and the deputy whip to South-South. However, the Speaker opposed it, citing alleged violation of federal character principle, and instead, proposed to zone the majority leader to the North-West. Dogara also zoned the deputy leader to the North-Central; chief whip to the South-South; and deputy whip to the South-East. By the Speaker’s proposal, Ado-Doguwa will now become the majority leader, while a lawmaker from Kogi State, Mr. Buba Jibrin, will become the deputy leader. Mr. Pally Iriase from Edo State, will become the chief whip, while the position of deputy whip which goes to the South-East will be occupied by Mr. Chike Okafor. Ado-Doguwa, Monguno and Iriase were all Gbajabiamila’s men, but had made a U-turn to back Dogara. Dogara is set to name the principal officers on Tuesday when the House would have reconvened from its current four-week break. Speaking on behalf of the loyalists group, Iriase claimed that their change of mind was due to the realisation that members had to comply with Section 14 of the 1999 Constitution, which dealt with federal character. “Let Nigerians know that the crisis in the House has been resolved. “Based on the letter the speaker wrote to the APC, under Section 13 of the constitution, he is to ensure compliance with Section 14 (3) of the constitution. “We have, therefore, accepted the Speaker’s proposal on the equitable distribution of the principal positions. According to Iriase, the loyalists group won a major victory over Dogara for being able to produce the majority leader, deputy leader and chief whip. Ado-Doguwa also spoke at the session, saying he backed the position of the group as explained by Iriase. “We reached a point that we just agreed that the interest of the whole nation supersedes any other. “Where we are now is okay for us as a group and we must sheathe our swords and move on,” he added. On his part, Monguno looked weighed down when he said that by agreeing to team up with the Speaker, he knew he had become one of the biggest losers. Monguno had wanted to be the Seaker, but stepped down for Gbajabiamila. He also contested the post of deputy leader and lost to the current occupant, Mr. Yusuf Lasun. The APC later proposed him to be the chief whip but he also agreed to swap the position with Iriase, who was initially nominated as deputy whip by the party. His case worsened when Dogara’s proposal excluded his zone, North-East, from the four contested principal offices. “Ordinary, I should have been the last person to be part of this meeting, considering the fact that, all along, I have been the one making the sacrifice. “Ultimately, I have become the loser in all of this. But, for the interest of the nation and the House, I have accepted to work with this arrangement,” Monguno stated. The spokesman of the House Dogara, Mr. Abdulmumin Jibrin, had also confirmed that the new development signalled the end of the crisis. Jibrin promised that the loyalists group, particularly Gbajabiamila and Monguno, would be adequately compensated in the distribution of key committees in the days ahead. “We have commenced collection of signatures which has reached advanced stage to affirm the Dogara formula. “All other interests, including those excluded from the principal officers, specifically, Gbajabiamila and Mongunu, will be duly accommodated with commensurate responsibility to serve.